Urgent care plays an essential role in the health of the community by offering accessible treatment to every patient. 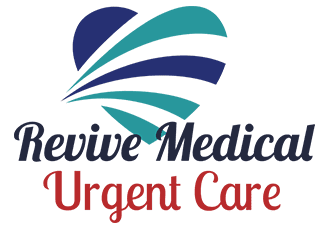 The team at Revive Medical Urgent Care is dedicated to providing excellent medical services to all patients in and around Oklahoma City, Oklahoma. For fast and effective medical care seven days a week, call, book online, or walk in without an appointment today. Urgent care provides immediate and comprehensive medical services on an outpatient basis, which means you don’t get admitted to a hospital. The team at Revive Medical Urgent Care is highly trained and prepared to treat a wide variety of illnesses and injuries — from a sprained ankle to an asthma attack. Providers at Revive Medical Urgent Care are on the front lines of medicine and can save you a trip to the emergency room in many situations. Why is urgent care important? Facilities such as Revive Medical Urgent Care provide a convenient option for patients who don’t have a medical emergency but need treatment before they can see their primary care physician. Additionally, if you get sick or become injured while you’re traveling away from home, Revive Medical Urgent Care can help. They provide expert care to patients of all ages, from infants to elderly adults. When should I go to an urgent care clinic instead of an emergency room? They also provide physical exams for sports, college, and DOT tests. Although Revive Medical Urgent Care offers a wide range of services, they aren’t an emergency facility and don’t admit you for extended care like a hospital. If you don’t have a medical emergency, Revive Medical Urgent Care saves you money and time compared to an emergency room visit. Hospital emergency departments are often crowded, which may result in a wait time of several hours. The team at Revive Medical Urgent Care minimizes wait time so you can get relief as soon as possible. They also accept most types of insurance and credit cards and offer a special discount for self-paying patients. If you need urgent care, call or book online, or walk in without an appointment for treatment today.